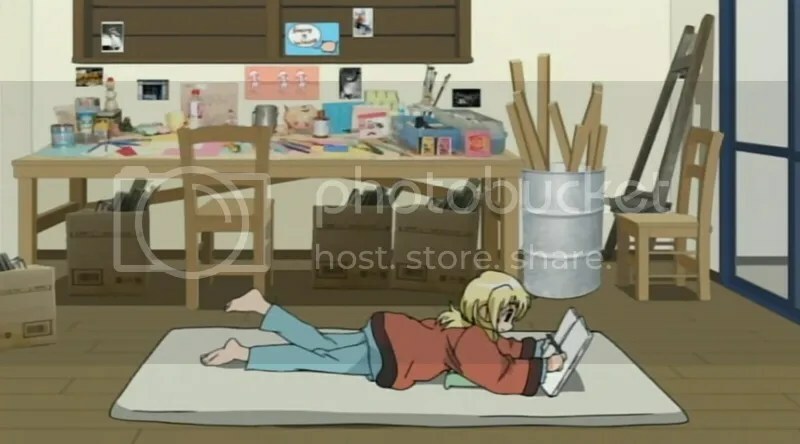 I’ve been following Hidamari for quite some time now. I know Mike spoke a while back about those simple shows you end up going back to instead of watching “deeper” stuff. 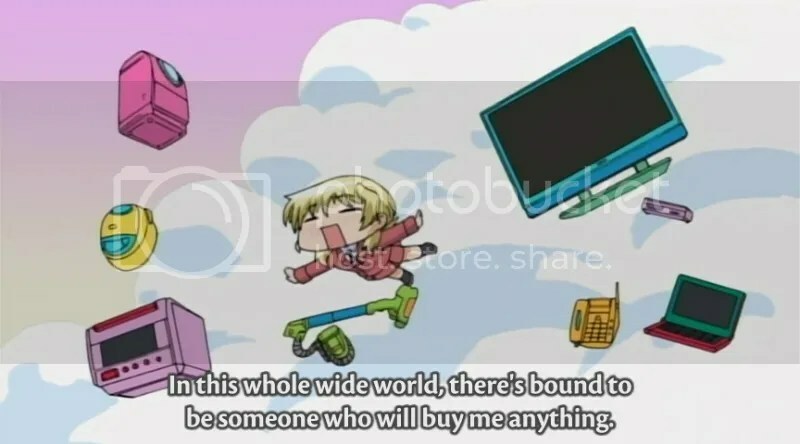 Hidamari fills that role for me. 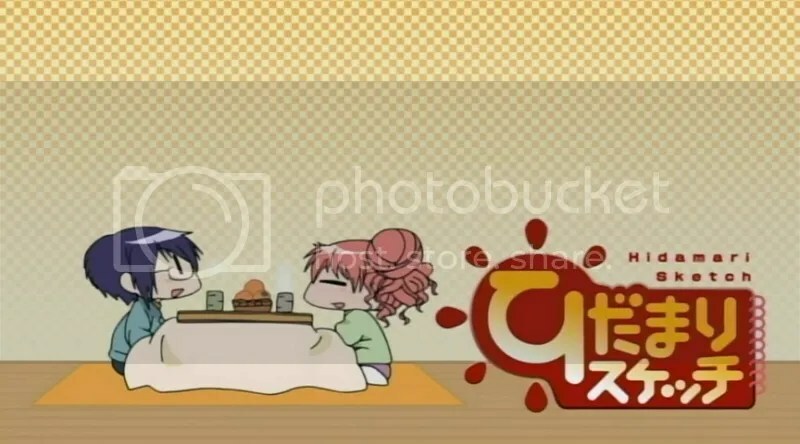 It’s a nice, sweet slice of life series with a couple laughs to keep things interesting. 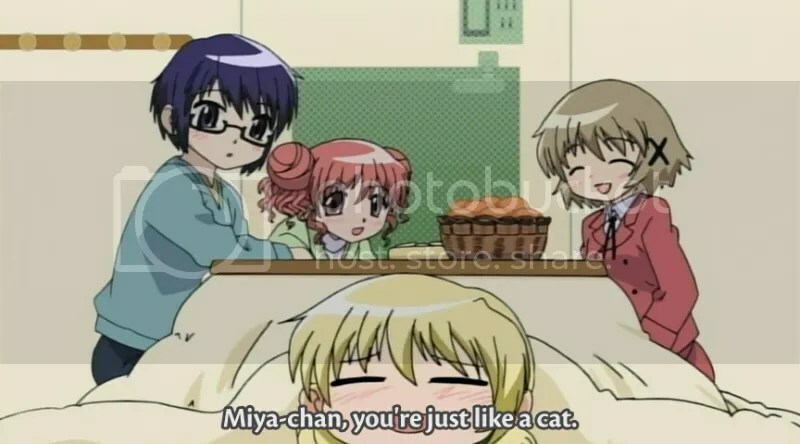 As in most slice of life shows each character has their own quirks. Yuno, the “main” character and youngest of the bunch, tends to forget things and can be a bit naive at times. Hiro is constantly worried about her weight and trying to go on diets. Sae is a bit withdrawn and tries to act older, but it’s often revealed how sensitive she is. Topping it all off is Miya, the goofy, hungry comic relief of the bunch. 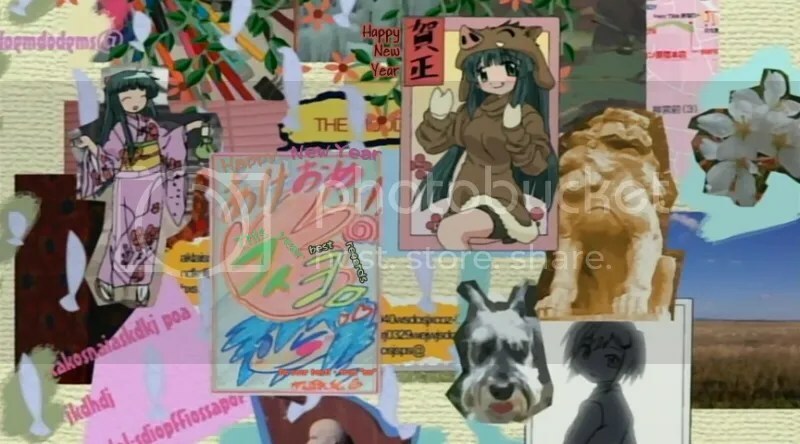 But like any great slice of life show, these stereotypes are just the basis of the characters. 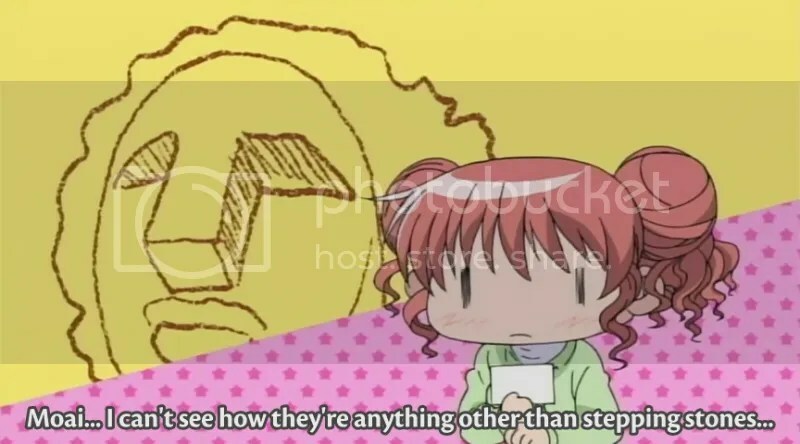 They exist to give you an instant hook to relate to, but the real meat of the series comes later, when you see each character’s idiosyncrasies come out and are built upon throughout the show. 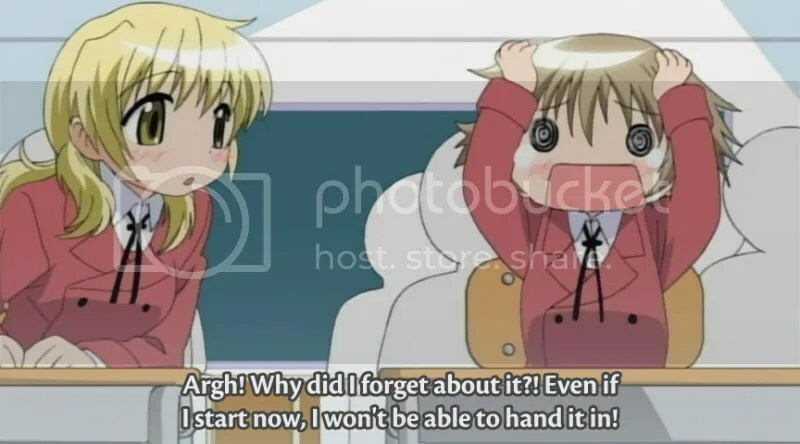 Hidamari Sketch is also notable for how the creators ran with the premise. 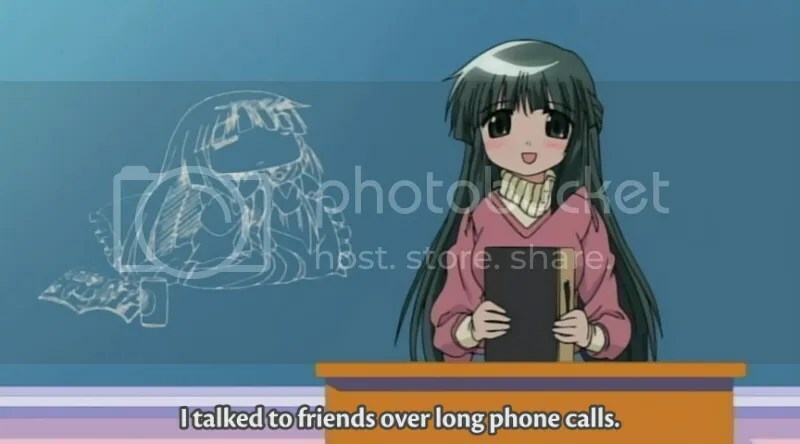 The four girls go to school in an art school, and the animators aren’t afraid to try new, simple, sometimes off the wall things with the artwork in the show. You’ll see a lot of things the characters are thinking about positioned oddly and colored strangely in the background, photographs of real life objects used for items the character interact with, color schemes, textured backgrounds, and a myriad of other chancy moves that pay off and make this series fun to watch to see what they’ll do next. In the end though, the great writing outweighs the art gimmick, and this is truly a fun series to watch. I like getting to know the characters, and seeing how they’ll react to each new situation. Dialog is a strong point of this series too. You never feel as if a character loses their voice, and there are puns galore. 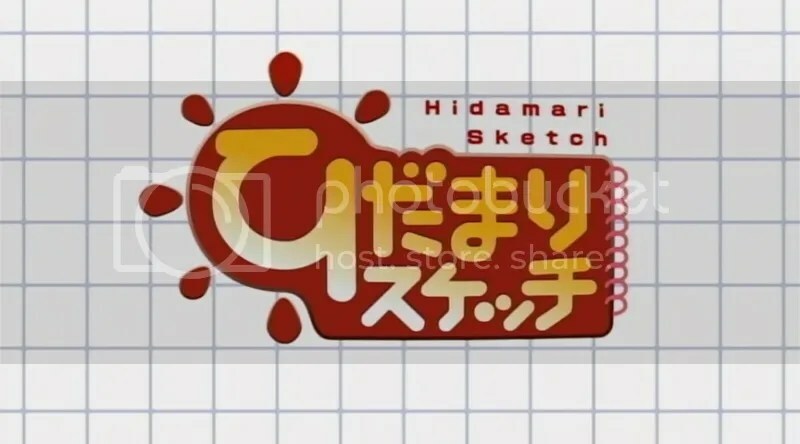 All in all I’d heartily recommend Hidamari Sketch if you’re a fan of slice of life, Yon-Koma anime (as it’s based on such a strip), comedy, or if you’re just looking for something fun and easy to put on.